Fashion students, we have some big news to push you right over this Hump Day and into the style stratosphere! 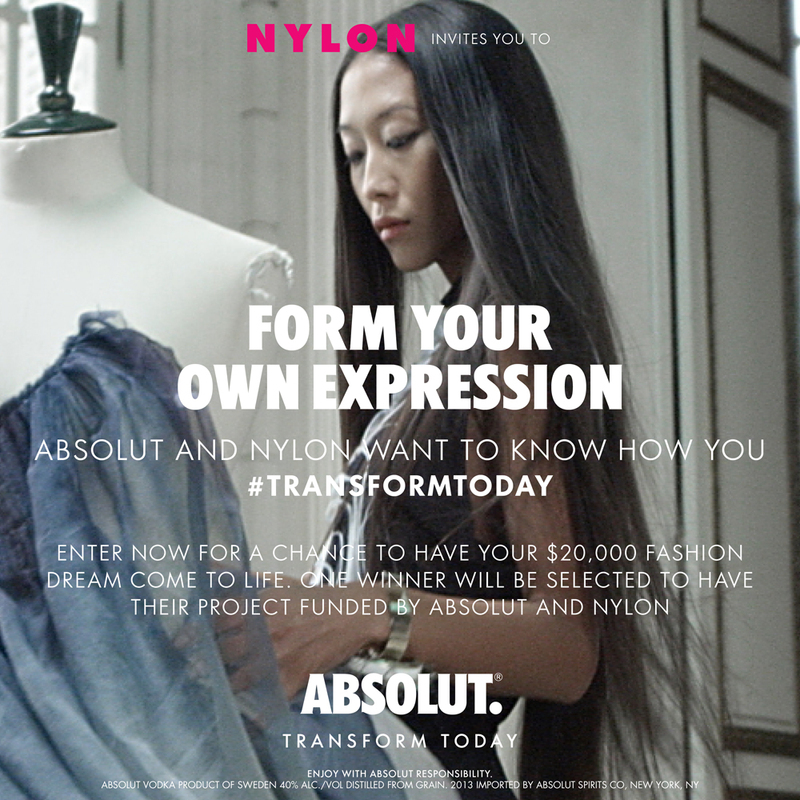 NYLON and Absolut Vodka have partnered on the ultimate design contest giving fashion students the opportunity to #TransformToday. 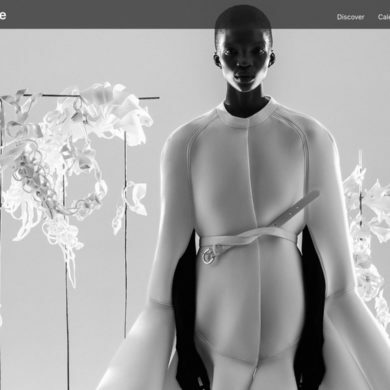 NYLON is looking for innovative individuals in fashion to submit their creative dreams. Whether you’ve been planning to open a new independent boutique, or you’re an emerging designer looking to expand your collection, they want to hear from you! 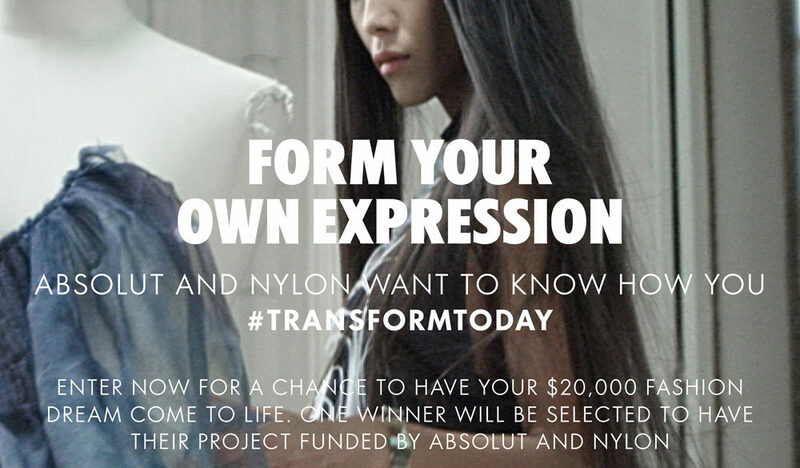 By sharing your creative vision and plans for the future, you’ll be entered into the #TransformToday challenge for a chance to have your fashion project come to life….not to mention a first prize of $20,000 to fulfill your creative project, mentorship from NYLON editors, an editorial mention in the magazine and your project will be included in NYLON’S pop-up shop! 4. 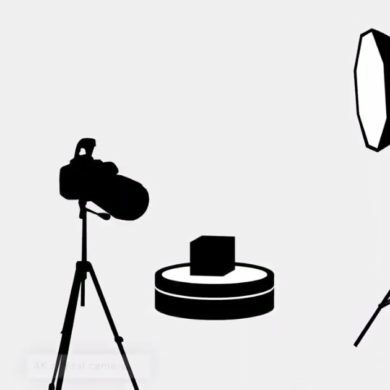 Submit a (max) 150-word written description of the project you hope to turn into reality. Next Meet us at the Bar! Dior Lounge Opening Tomorrow Night!